As the days begin to shorten and autumn’s satisfying crunch can be felt underfoot, it’s time to look forward to all the enjoyable activities that are synonymous with the last months of the year. 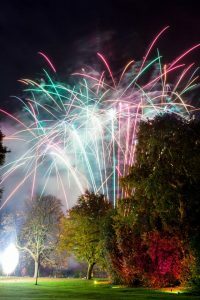 One of our favourites is Bonfire Night and this year we’ll undoubtedly be heading to the Botanicals for Illuminate the Gardens, the fireworks and lighting extravaganza brought to you by Events Collective, the nice folk behind the Sheffield Food Festival. With an extra date being added for 2018, the event will take place over three nights from the 2nd to the 4th of November within the beautiful surroundings of the Botanical Gardens. It promises to be a magical night out for all the family, with tasty street food & drinks available from some of your favourite local traders, vintage fairground rides, free kids activities, fire performances, acoustic music and of course a stunning fireworks display. And for the wee ones there’ll also be a quieter ‘low bangs’ display earlier in the evening. 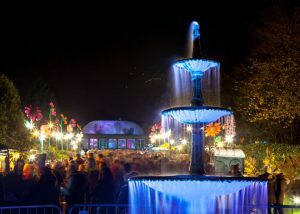 Illuminate the Gardens sold out incredibly quickly last year so don’t delay in buying your tickets. Early bird tickets are on sale now: £8.50 adult / £4.50 child / £20 family and when they’re sold out standard tickets will be £10 adult / £5 child. Find more information & tickets here.